Maryanne and Steve want to see a photo of me with Rossi!! I would be the only person I know that has a photo of Rossi on the inside of their pantry door and has done so for the last 20 years. The understatement is I'm a big fan!! They will donate to Sisterhood Soaps. Even though I did not get to meet Rossi I did get to see him get a podium finish at the Barcelona MotoGP, 2018. Going to the GP was incredible, I got a Silver Hospitality Ticket which I hoped would enhance my chances of meeting my hero and it gave me a great possie at the beginning of the finish strait. Rossi on the big screen and in the flesh on the track in front of me. I met first Steve and Maryanne at Cradle Mountain. They also work for Parks. I knew Steve was a motorcyclist and then it didn't take long before I realised he was also a big Rossi fan. Their challenge was very fitting. I tried and tried to meet Rossi, and failed, but I did meet and had the chance to chat with Jack Miller. also met a few Aussies that I hung out with for the weekend. I spent a lot of time in the main grandstand directly opposite Rossi's garage. I did get a wave from him. 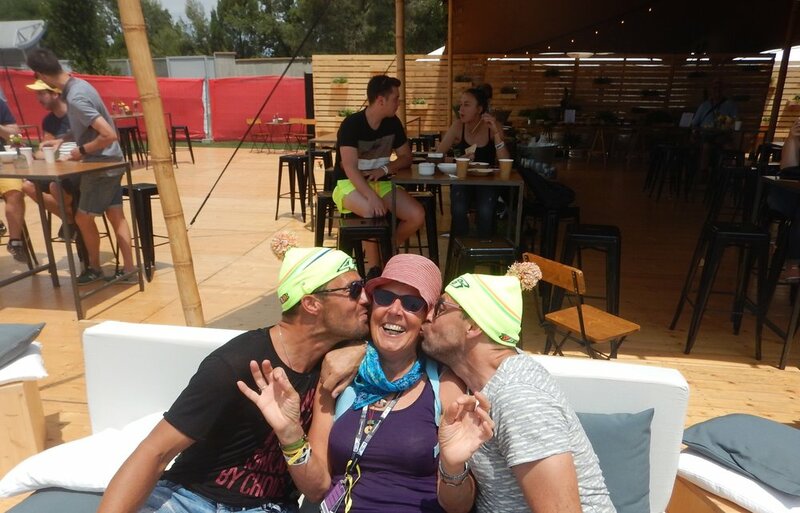 These fellows from Switzerland were great company in the hospitality tent. Later in the afternoon of the last day they decided to put on a show for us!! My Aussie mates DR Rob from Hobart and Adrian ( sporting his new Jack Miller cap) from Mildura. DR Rob bought a second hand off-road bike in the UK and road it along many of the TET trails across the Pyrenees and from south to north along the Balkan Ranges, it finally clagged out in northern Italy where he left it and got a train to Paris and flew home. Adrian and my bikes travelled in the same container to and fro the UK. He rode his Hyabusa around much of Western Europe and Scandinavia clocking up an enormous number of trouble free kms.